For fall bass fishing baits grab your favorite topwater lure, so long as it’s a buzzbait, a few shallow running crankbait lures, some spinnerbait lures that are white or mostly white, some swim baits and where legal, an Alabama Rig when bass are suspending. Then you’re ready for autumn bass fishing. The mellow time of year when we should all sit and watch the leaves turn, so long as we’re doing it while sitting in a boat or on the shore with a line in the water. Oh baby! It's fall when the words autumn and beautiful morning mean the same thing. Get me a topwater fishing lure. Make it a buzzbait or a "walking bait" to be specific. They're both great in their own right. Recognized as a premier producer in the autumn months and tons of fun to fish this lure leads the pack of fall bass fishing baits! 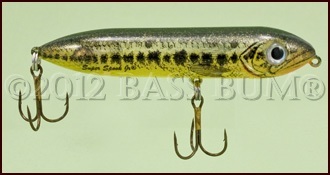 Since much fall feeding takes place on or close to the surface a buzzbait is a good way to illicit a strike. Bass can't clearly identify what the object chugging across the surface is so they strike it to stop what might be a good meal before it gets away. 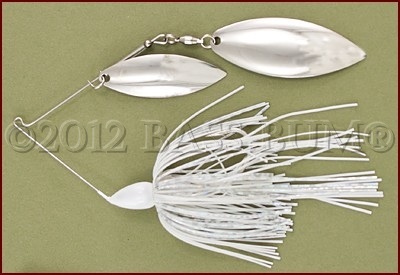 If the water is calm use a buzzbait that just squeals as the blade rubs against the rivet. If the water is rippled or you're around heavy cover, go with a "clacker" version, which is noisier and creates a bigger surface disturbance. The latter will provoke the bass to leave its cover and give chase. Throw out all those things you've heard about buzzbaits being only for good for early morning, late afternoon or when cloudy. Also, if you have chased bass into the shallow water in the back of creeks, where fall bass are hunting baitfish, you better be chunking a buzzbait. If the day is clear and bright go with white. Overcast? You can't go wrong with black. Really. Black isn't just for night fishing. As for blades silver, white or black mixed as you choose with white or black skirts will produce. 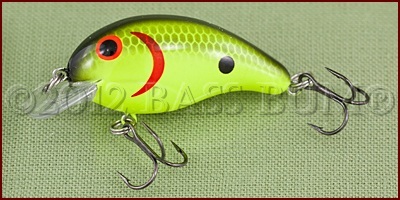 When I'm after smallmouth bass I'll sometimes go to a chartreuse blade and skirt. Why? It just seems that in my experience that color seems to aggravate the crap out of them. A pissed off smallmouth bass will hit a buzzbait lure with injurious intent! Though many anglers use braided (especially when buzzing around heavy vegetation) or fluorocarbon line I prefer 10lb to 17lb monofilament because it floats and doesn’t produce any downward pressure on the lure. Use a steady retrieve. No pauses though you might increase and decrease the speed of a retrieve, like pressing and releasing you gas pedal, or give it a twitch or two. 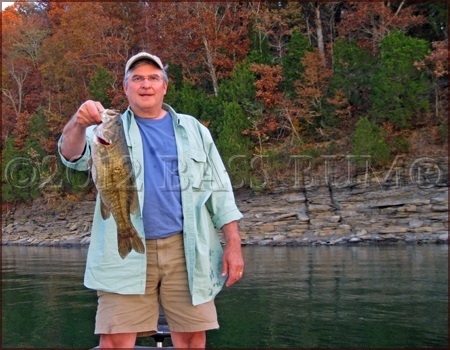 Fall bass are hungry and often roaming shallow flats where prey can be a relatively easy meal. Main lake flats, close to deep water, hold great promise to the topwater angler. Bass prowling flats will travel a long way in the shallow water to strike down threadfin or gizzard shad. That’s where a Sammy, Zara Spook or Strike King Dawg earn their keep as outstanding fall bass fishing baits. Make long casts and let the bait sit till the rings dissipate. Then start your retrieve. A smooth, deliberate “walk” will work of course but you may want to alternate and retrieve the lure quickly and erratically so as to imitate a shad injured or fleeing for its life. The bass will take notice. Blade baits are also good fall bass fishing lures, especially around remaining vegetation which is usually found in deeper water, the shallow vegetation having died off and in so doing consuming much available oxygen. These 'dead grass' areas in shallow water have become unsuitable areas for bass. Grab a 1/2 ounce spinnerbait with tandem willow leaf blades and cast parallel to the outside grass edge as you would a shoreline. Use a medium speed retrieve. Bass in the grass can be pulled out doing this. Slow rolling a 1/2 ounce spinnerbait with a #4 1/2 or #5 willow leaf blade 10' down through flooded timber is another presentation that can be productive. Try and bring the lure as close to the trunk as possible. Spinnerbaits perform best around cover and aren't the best choice for open water. So use them around wood, grass and brush. These also work well along sheer bluffs that have a ledge 15-20' down and extending outward 5-10' feet. When cast parallel to the bluff wall and retrieved just below the service any smallmouth bass holding suspended over this ledge can be called up by this presentation. I also like fishing bluff walls by casting right against its face and then just letting the lure drop. If no strike happens on the way down I'll begin a steady but not fast retrieve back to the boat, then repeat. My preference for this is 1/2 to 3/4 ounce spinnerbait with a single #6 Colorado blade as a Colorado blade will spin when dropping down the face of the bluff. 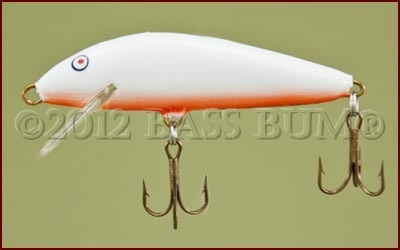 These artificial lures are great early fall bass fishing baits, especially in lakes without a lot of grass. They work well on points in 8-12' of water where there is a lot of rock or stumps or on flats with stumps and depressions. The bass are hungry and aggressive, driven to "fatten up' for the coming winter months. Crankbaits should be worked fairly fast and bumping the bottom since the bass are aggressively feeding. Don't give them a chance to see it well. Shallow and medium running cranks like the AC Shiner shown above are also good for working shallow flats in the back of creeks or for that matter, main lake flats. They can be productive when fished around isolated cover like a single sump or stick-up. Big bass, especially largemouth, love these type ambush points. Use crankbaits to rip just above the top of deeper remaining grass as a fall bass fishing tactic. Be aware that shallow running crankbaits lose some of their appeal to bass in late fall as bass aggression begins to subside.